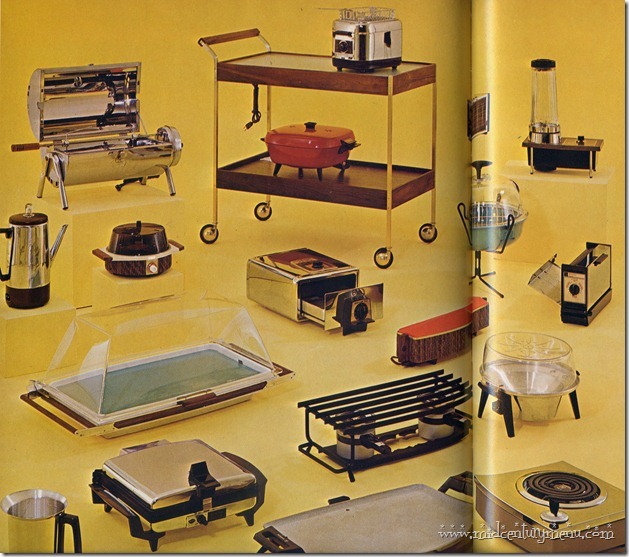 I really want that covered portable charcoal cooker. And that French bread warmer. ‘Cause that’s not a specific appliance. At all. I like #12, the cooler serving tray. Keep your potato salad cold! I kinda of want all of those things.